If it seems that rents just keep on going up and up and up, well, that’s because they do. 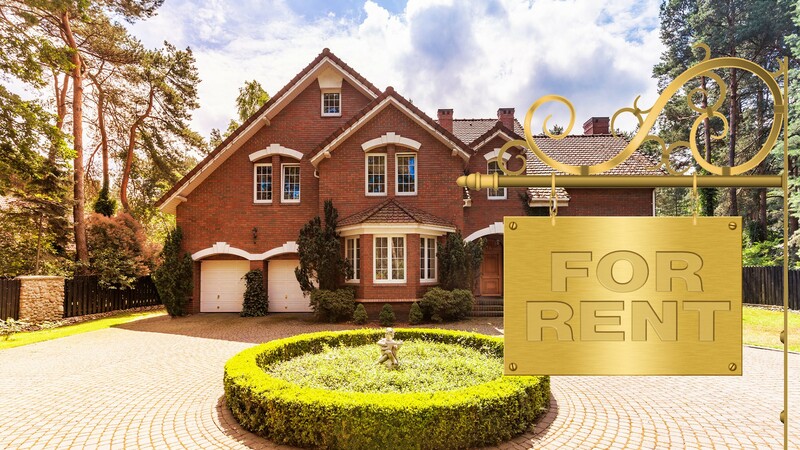 With all of the obsessive attention paid to the thrill-packed, roller-coaster ride of rising prices and falling inventories that characterize today’s home-buying market, it’s easy to overlook the fact that roughly a third of Americans are renters, not owners. And rents—which, last time we checked, were already too damn high—have increased by 13% over the past five years for a two-bedroom place, according to Apartment List data. Ouch! If it’s any consolation, there’s always going to be someone shelling out more than you. Maybe way more. In fact there are entire neighborhoods in the U.S. where the typical renter is throwing down $10,000, $15,000, even $30,000 a month. Realtor.com set out to find these exclusive nabes in some of the biggest, most desirable cities in the country. And before you play the sad trombones for folks coughing up these amounts, let’s acknowledge that many are whiling away their days and nights in luxe high-rises offering everything from valet parking to robot butlers. And plenty are high-income individuals renting by choice, not necessity. To find the most expensive places for renters, we pulled every two-bedroom rental on realtor.com in March and calculated a median rent price for every ZIP code. 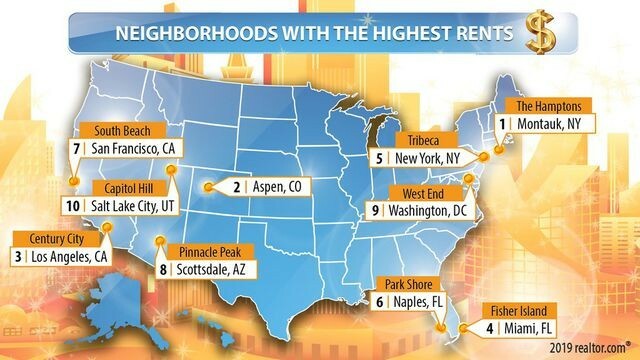 A bit of perspective: The median rent for these types of apartments across the U.S. is $1,100 per month. We excluded ZIP codes with fewer than 12 listings and limited the ranking to no more than two neighborhoods per state (sorry, California and New York) and no more than one neighborhood per county. Got it? It’s time to plunder those trust funds, have a blank check ready for first and last months’ rent and security deposit, and take a tour with us of the priciest rental markets in the U.S. Buckle up! This lovely seaside community in the Hamptons—widely known as “The End,” since it’s the easternmost point of Long Island—has gone through some big shifts in recent years. A longtime summer magnet for stressed New Yorkers fleeing the city, it’s still more family-oriented and lower key than nearby beautiful people playgrounds like Southhampton. But prices here keep escalating. While it’s far from the most expensive Hampton town to buy a home (median list prices here are $2.1 million, compared with $3.8 million in Water Mill, NY), rentals are another story. These can range from one-bedroom units in full-service luxury buildings that lease for around $20,000 a month, to four-bedroom houses with an ocean view that rent for more than $80,000 in the summer and fall to under $30,000 after September. It’s worth noting that, for an ultrapricey community, amenities here don’t always scream luxury. Simple things such as AC, pools, and parking for family and friends are highly sought-after. Still, it’s hard to deny the lure of a place where world-class beaches and world-famous lobster rolls are just a bike ride away. 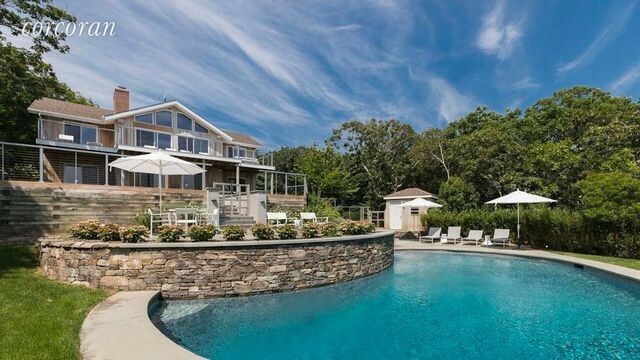 “Montauk appeals to folks looking for a quieter, more laid-back beach experience than you might find in the more ‘stylish’ Hamptons,” says Joe Cordes, owner of Comax Properties. It’s always been difficult to snag an apartment during ski season in Aspen. Now, it’s becoming nearly as hard to line one up in the summer as the wealthy are beginning to stay here year-round. Prices are so high in America’s premier ski town that units renting for upward of $10,000 a month aren’t even considered luxury here. 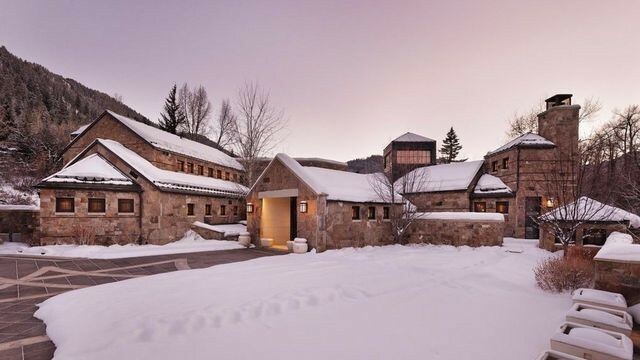 The most expensive Aspen rental right now is an eight-bedroom mansion complete with a wraparound balcony and an outdoor fireplace for a sweet $250,000 a month. Naturally, all of these rentals are just a short trek to the Snowmass Mountain with its 3,362 acres of terrain, and 94 trails and Buttermilk Mountain, home to the Winter X Games. Developed on the former backlot of film studio 20th Century Fox, and nestling Beverly Hills, Century City has become L.A.’s destination for luxury high-rise rentals. 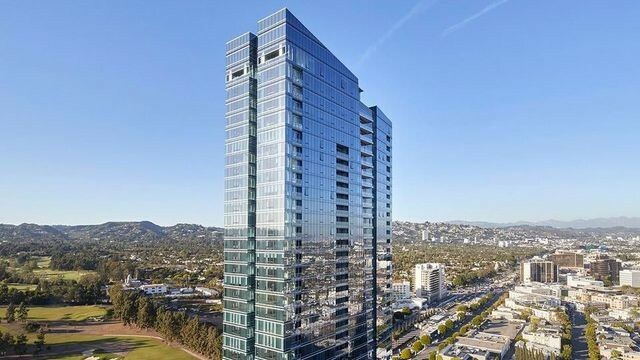 Its new crown jewel is Ten Thousand, a 40-story tower equipped with Botox rooms (yes, it’s a thing) and a private rooftop terrace with views of the ocean and downtown Los Angeles. It opened in 2017 with rentals starting at around $10,000 a month—although the penthouse will set tenants back about $60,000. Century City gets a mix of wealthy executives and Hollywood elites who are downsizing from their mansions and looking for a lower-maintenance lifestyle. Fisher Island, a go-to for Russian oligarchs and ultrarich and famous American home buyers (hello, Oprah! ), has a rental market too—albeit a small one. This island is dotted with low-rise condos with views of the water that can go for around $20,000 for four-bedroom units. The ZIP code is home to the highest-earning folks in the nation, with annual incomes topping $2 million, according to Bloomberg News. Just off of Miami, it can be accessed only by boat (usually a yacht), ferry, or helicopter. Despite clocking in at just about 200 acres (Central Park in Manhattan tops 800 acres), the island has 18 tennis courts and a golf course—which renters can access with a temporary membership for $150 per day. There isn’t much in the way of shopping. But who needs to shop when you can lie on a beach with sand imported from Bermuda that’s raked to perfection each day? And leave your car on the mainland: Folks here get around on golf carts. In the early 1900s, Tribeca was mostly textile factories and warehouses. Today, these spacious, airy buildings house some of Manhattan’s priciest lofts and trendiest boutiques. Actor Robert De Niro, who co-founded the world-famous Tribeca Film Festival, helped popularize the neighborhood decades ago. And today it’s home to A-listers such as Taylor Swift and Justin Timberlake, who can be seen hopping from bistro to bistro along the neighborhood’s cobblestone streets. Sunny apartments in Tribeca’s low-rise buildings can easily exceed $10,000 a month. This two-bedroom loft with an enormous dressing room/walk-in closet, marble countertops, and electric blinds is priced at $12,500. The rentals are becoming even more popular as luxury sales are slowing. Well-heeled buyers have more brand-new developments to choose from and are waiting to see what will happen with prices. “In the past six months, we’ve begun seeing buyers camp out in the rental market, waiting until they’re comfortable to buy,” Miller says. 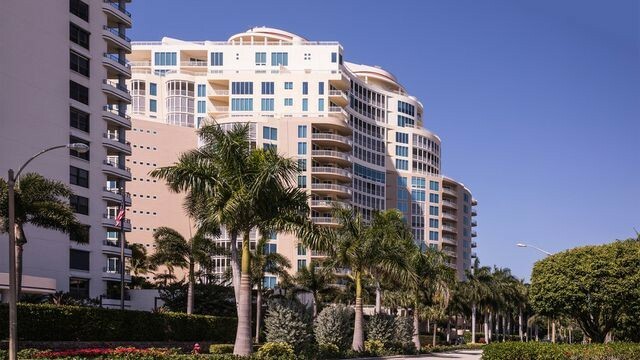 Oceanfront high-rises started popping up on Park Shore’s white-sand beaches in the ’60s, transforming it into a winter destination for affluent snowbirds. There’s plenty of seafood restaurants and other fine dining and upscale shopping options. But it’s the lack of new development that has kept prices high. And there are some amazing rentals to choose from. 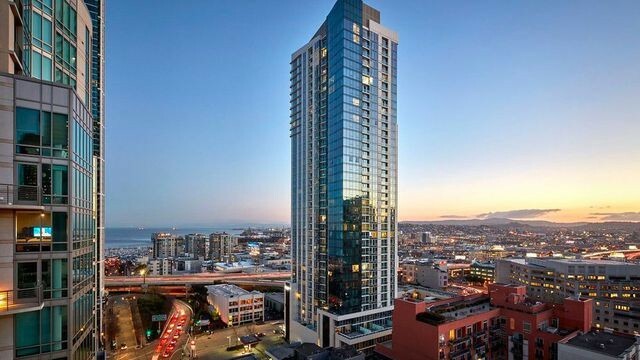 Take this two-bedroom ,1,600-square-foot beauty with ocean views going for $8,500 a month. This former shipping and warehouse district along the San Francisco Bay is now filled with high-end stores, nightlife, and new luxury condo and rental apartment buildings with floor-to-ceiling windows. This walkable neighborhood has a mix of new development and historic homes built after the 1906 earthquake, which leveled much of this area. Units with views of the bay and San Francisco–Oakland Bay Bridge are much sought-after. 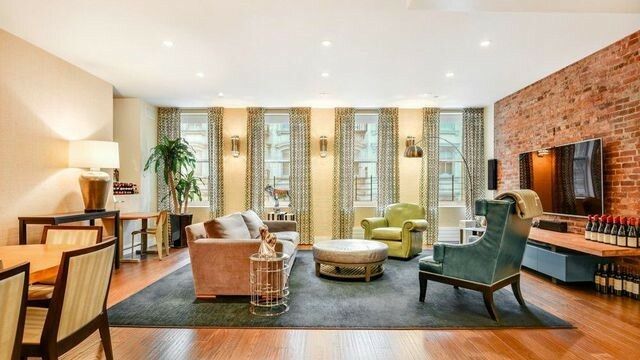 This 1,300-square-foot rental with a chef’s kitchen is going for $5,500 a month. In Pinnacle Peak, a 40-minute drive outside the heart of Scottsdale, rattlesnake and mountain lion sightings are common. Well-off renters come to swap the big-city life for the outdoors, playing 18 holes at Pinnacle Peak Country Club, a green golf course in the desert, or a spa visit at the Four Seasons Resort. Renters can find five-bedroom houses in the gated community of Troon Verde for $7,500 a month. Those who want to save a few bucks can score a three-bedroom apartment for just under $3,200 at complexes with poolside cabanas and wet bars. Having a car is a must in this sprawling neighborhood, which is dotted with large homes and in-ground pools. At the edge of Coconino National Forest, Pinnacle Peak attracts the more adventurous renter who wants to visit during the still-warm Arizona winter months and go backpacking or rock climbing. Many of the historic, Victorian-style row homes that the nation’s capital is known for have all but disappeared from the West End. These days cranes are busy putting up new office buildings and low-rise, luxury apartments and condominiums throughout the neighborhood to meet the demand of buyers and renters. 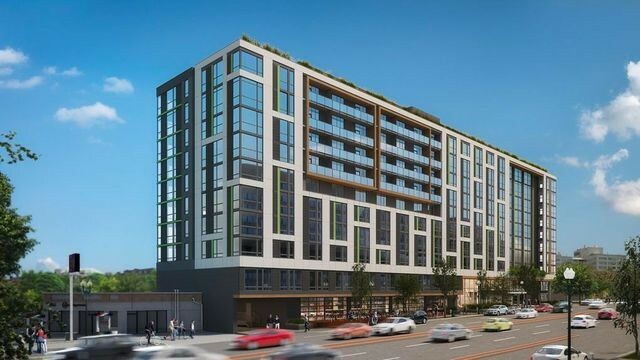 One of the newer developments, the 10-story Westlight, features street-level retail with about 70 apartments on the upper levels. Units start at around $3,000 and go over $12,000 a month. This area also includes Foggy Bottom, a posh DC neighborhood that is home to the Washington National Opera and National Symphony Orchestra and plenty of George Washington University off-campus housing. The ZIP code is also home to a complex called the Watergate Hotel. Maybe you’ve heard of it? Loads of software engineers are moving from high-priced tech hubs like Silicon Valley and Seattle to work in smaller, more affordable Salt Lake City. And the lower prices means they can splurge on a swanky pad in the quieter, primarily residential, old-money neighborhood of Capital Hill. “A lot of younger professionals are moving here and making decent money, but they are renting because they don’t know yet if they’ll be here long-term,” says Trey Leonard, a global real estate adviser at Engel & Volkers Park City. That’s created a boom for upscale neighborhoods near the city center like Capital Hill and Greater Avenues. This area is squeezed between downtown and the Wasatch Mountains north of town. There are some large two-bedrooms units in recently built luxury condo buildings with pools and rooftop lounges that rent for around $3,500. “Many of these homes have simply amazing views of the city skyline and the mountains,” Leonard says.